An unlikely partnership between Apple and Huawei may be on the cards in the ongoing race to bring 5G phones to market, according to a source close linked to Huawei. According to Engadget, a “source with knowledge of the situation” has said that Huawei is open to the idea of selling its 5G Balong 5000 chipsets exclusively to its rival Apple. Launched in January, the Balong 5000 chipset supports a range of 5G products, and according to Huawei offer the “world’s fastest wireless connections”. Up until now, Huawei has been reluctant to sell its processors such as its chipsets to other companies, with components only designed to work in Huawei devices, but that may be about to change. It is unclear whether the two companies have discussed the arrangement at all, and according to Engadget neither company has responded to requests for comment. Huawei is locked in ongoing tensions with the US over its alleged links to the Chinese government and accusations that it has stolen information from US companies, meaning US federal agencies are banned from using Huawei devices. So far, there has been no evidence to suggest that Huawei has engaged in espionage, but security concerns have been raised after a report by the UK National Cyber Security Centre found “serious vulnerabilities” in the company’s 5G technology. Could an Apple and Huawei partnership replace Intel? Since 2018, Apple has used chips supplied solely by Intel, with its legal battle with Qualcomm ongoing. However, according to a report by Fast Company, Apple “lost confidence” in Intel after the company failed to meet a deadline related to the development of a 5G chip, a set-back in any future plans to release 5G phones. Therefore, there may be some weight to the idea that Apple may look elsewhere for a supplier. If the rumours are true, a partnership could be beneficial to both Apple and Huawei. While other companies race to tap into the 5G market, Apple is reportedly not planning to release 5G phones until at least 2020. Although it remains to be seen how this will pan out for the company, falling smartphone sales may mean that Apple risks falling behind in this area, making widening its search for a chip supplier an attractive option. 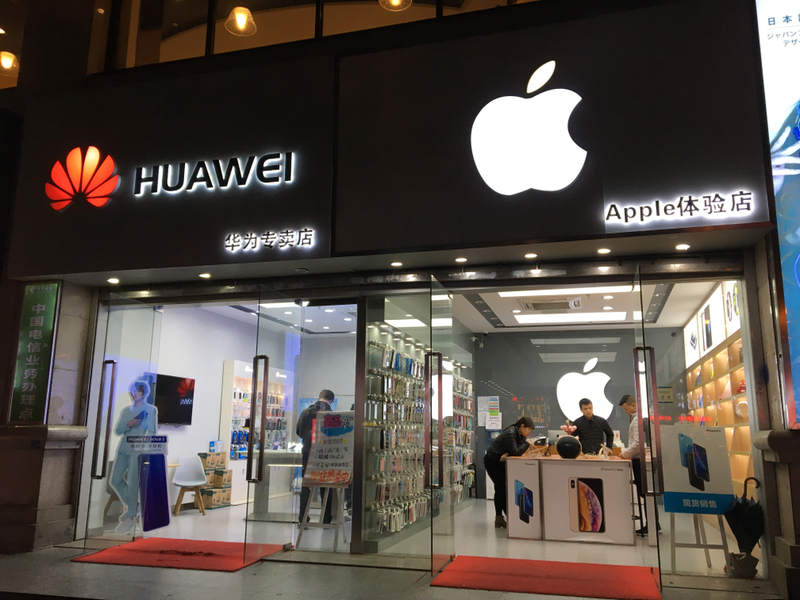 The deal could also provide a boost for Huawei, further increasing its influence on the telecoms industry through tapping Apple’s hefty share of the market. By becoming an official supplier for a US company, it may also be possible for Huawei to improve relations with Washington.